For Stephanie Yarber, who received a diagnosis of premature ovarian failure at age 14, conceiving children the old-fashioned way was a life's wish. In 2003, after several unsuccessful  and costly  courses of in vitro fertilization (IVF) using her identical-twin sister's donated eggs, Yarber began looking into other options. There was adoption, of course. But there was also a riskier experimental alternative: ovarian transplantation. Silber remembers the day he first spoke to Yarber. Her enthusiasm was contagious. But despite his vast experience with microsurgery and his success with male patients (he had also performed the world's first vasectomy reversal), Silber knew that all previous ovarian transplants in the U.S. had failed, as had those performed abroad. Still, he thought, in theory the procedure was possible. Yarber's surgery was scheduled for April 2004. Yarber's microsurgical procedure involved the transplantation from her sister to her of a thin strip of cortical tissue  the part of the ovary that produces eggs. (The leftover strips of egg-producing tissue from the harvested ovary were frozen and stored for future use.) Within months, Yarber began menstruating. In September 2004, just five months after the transplant, she was pregnant. Five years and another tissue transplant later, Yarber has two daughters, ages 3½ years and 10 months, and is trying for a third child. Owing in large part to Yarber's willingness to talk about her experience, Silber has since performed the same procedure for eight other sets of identical twins. "There are lots of women who are in our position who are not able to have children and who are looking for something," says Yarber. "If we didn't speak about it, there wouldn't have been so many other twins able to do it." The battle to preserve and prolong women's fertility has become increasingly visible of late. While advances in techniques like cryopreservation (the freezing and storing of eggs and embryos, for example, and now also ovarian tissue for transplants) have increased many women's chances of pregnancy, IVF is still a time-consuming and expensive process  and one that holds no guarantees. Success rates with IVF parallel fertility rates in the general population, dramatically declining with age. After 40, success rates drop to as low as 23%, and after age 43, Silber says, pregnancy is very rare. 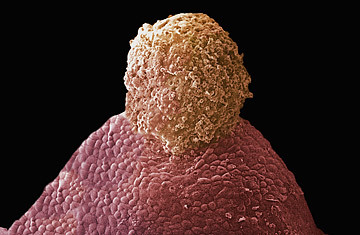 But other fertility treatments  including experimental procedures such as harvesting immature eggs and maturing them in vitro for IVF, and the transplantation of ovarian tissue or entire intact ovaries  have gained ground in the past five years, especially for women with premature infertility or infertility resulting from cancer therapy. An article published in the Feb. 26 issue of the New England Journal of Medicine urges oncologists to consider fertility preservation, including the use of experimental techniques, more routinely with their patients, since as many as 90% of women who undergo full-body radiation become infertile. But even as fertility specialists offer hope for many women who believed they would never bear their own children, ethicists warn that doctors must tread carefully in developing the technology. One month after performing the whole-ovary transplant, Silber tried the same procedure on a set of nonidentical twins for the first time. The recipient of the ovary, a San Francisco woman named Joy Lagos, had become infertile after cancer treatment. But the hope was that because Lagos had received a bone-marrow transplant from her older sister as part of that treatment  which transformed Lagos' immune system into a chimera, or hybrid, of her sister's and her own cells  her combination immune system would stand a far better chance of accepting her sister's ovary without the need for long-term immunosuppressant drugs. The procedure went off without a hitch. But several months later, Lagos' hormones began reverting to menopausal levels. The ovary failed. In October 2007 she tried again, with a cortical-tissue transplant from her sister, harvested during the earlier procedure. Six months later, Lagos got her period for the first time in years. "This means that the ovary is working and we can start trying to get pregnant for real!" she wrote ecstatically on the blog she shares with her husband. But by summer, Lagos learned that the second transplant had also failed. Silber concluded it was most likely an organ rejection. "I view this as an error in judgment," says Silber. "We all thought we didn't have to immunosuppress her." Yet with the use of immunosuppressant drugs, he says, the technique could work between sisters or even strangers. "We know that's a safe thing to do," Silber says, citing the many published cases of babies born to women on long-term immunosuppressants. And because ovaries are not vital organs, he says, the immunosuppressant regimen for ovary-transplant patients would be much more modest than average. "If it doesn't work, we're not going to take a chance with their life as we would with a kidney or a liver," he says. Read about last year's face-transplant breakthrough.